Mariners don’t have to venture very far from the waterfront to find everything they’ll need for a relaxed stay in the heart of New Bern, thanks to the conveniently located Galley Stores & Marina. A full service marina and gourmet food and beverage shop that includes everything from the basics to the decadent, this enticing little store is a great place to explore for visiting mariners and everyday downtown explorers alike. 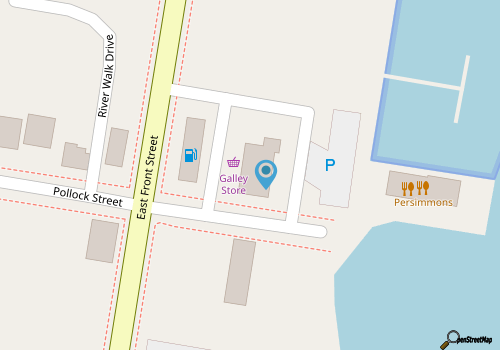 The Galley Stores & Marina is located along Front Street in the center of the action, and visitors who dock here will have walking-distance access to New Bern’s many shops, restaurants, and attractions. The store will entice travelers by land and by sea, as it is stocked with one of the largest selections of wine and craft brews in the town. From unique beer and wine varieties that are produced just miles from New Bern, to worldly beverages that are carefully selected from locales around the globe, beer and wine lovers will find ample reasons to celebrate at the enticing and expansive shop. Complete with other supplies, including gourmet food products, gift baskets, and other tempting items, the Galley Stores & Marina is a great destination to toast the good life in New Bern. Call 252-633-4648 for current hours.